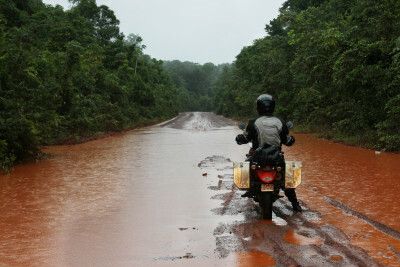 Torrential rain, shin high mud, and waist high floods as we made our way ever so slowly through the jungle. 11 hours of riding to barely go 150 miles. Were fortunate to have a minister offer us a room in his church, the next town hours away at dark.